When you slip and fall, you only fall a few feet, but that short distance can leave you with serious injuries. If your injuries are the result of someone else’s negligence, allow a Seattle slip-and-fall attorney to help you pursue compensation. Slip-and-fall accidents happen all the time, and many victims walk away with few injuries, if any. But when these accidents do cause injuries, those injuries tend to be serious. Often, there’s nothing victims of slip-and-fall accidents could have done to prevent their injuries. They couldn’t possibly have known the floor would be wet or the sidewalk would be icy. But there’s often something the property owner could have done to prevent the accident. So what recourse do slip-and-fall victims have under Washington law? They can file a personal injury claim against the property owner or other responsible party to recover compensation to cover all their injuries and related damages. Proving negligence is almost never easy, but it’s absolutely critical to the success of your claim. That’s why so many victims of these types of accidents choose to work with a Seattle slip-and-fall lawyer. 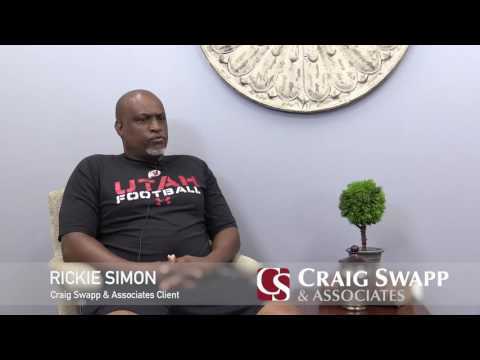 If you’re looking for a qualified and experienced legal team, look no further than Craig Swapp & Associates. Who’s Responsible for Your Injuries? Slip-and-fall accidents in Seattle may warrant compensation if they occur on commercial, public, or residential property. In almost all cases, the property owner is going to be the person you need to hold responsible for your injuries. In some other cases, property managers or third parties could be implicated in a Seattle slip-and-fall claim. For example, if a maintenance company working on the refrigerators at your local grocery store negligently left coolant or another liquid on the floor, and you slipped on that, you might be able to pursue compensation from the maintenance company. However, you’re generally going to name the property owner in your claim. Examples include puddles on the floors of retail establishments, recently cleaned floors in restaurants, and off-kilter stairs on your neighbor’s front porch. Part of proving the negligence of the property owner is going to involve showing that the owner could have reasonably anticipated and responded to the slipping hazard that caused your accident. Your attorney will know how to obtain the proper evidence to prove that point. To make a strong case for the compensation you need to recover, you will need to demonstrate how your Seattle slip-and-fall incident injured you. This process will begin with seeing your doctor. Doctors keep meticulous records of your health and injuries, which can be used to prove your case. Brain Injuries – Hitting your head after falling from any height can cause serious brain injuries that can affect your ability to care for yourself and earn a living. Falling face-first after tripping on a protruding floorboard could easily cause a brain injury. Spine Injuries – Back injuries can range in severity from minor muscle pain to permanent paralysis. Slipping on a wet floor or slick sidewalk and onto your back can injure your spine. Broken Bones – Breaking your fall with your hands can lead to broken wrists and arms, and abruptly falling to your side can fracture the bones in your legs and ankles. These injuries can take weeks or months to heal. In addition to compensation for the pain your injuries have caused you, you can also be compensated for the ways your injuries have affected your daily life. Working with an attorney will give you access to the lawyer’s in-depth knowledge of trip-and-fall accidents and how they affect victims’ lives. Allowing a slip-and-fall lawyer in Seattle to build you a bulletproof claim is one of the best ways to win the compensation you need after you’ve been hurt. With a lawyer’s help, your claim will account for all the damages you have suffered as a result of your accident. The compensation you receive should cover your expenses and hardships far into the future. Even if you think the negligence of the property owner is crystal clear, expect resistance from his or her lawyers and insurers. No negligent party is likely to willingly admit fault for your injuries. That’s why having a qualified legal ally on your side can be so helpful. When the compensation you need is on the line, you don’t want to take any chances. Make sure all your bases are covered by working with a Seattle slip-and-fall lawyer at Craig Swapp & Associates. Call us at 1-800-404-9000 or head to the bottom of the page to fill out our online contact form as soon as you can.